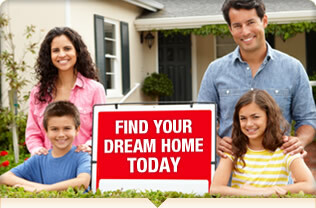 Foreclosed Homes for Sale | Find Government Repo Houses NOW! Foreclosure-Support.com is your online source for over 1 million foreclosed homes for sale in great locations nationwide. Whether you're looking for government repo houses, apartments or even commercial properties, we can help you find all types of foreclosure listings for you to browse, compare and research. We gather our information pertaining to repo houses for sale from a variety of different sources, including banks, mortgage companies, and government agencies like HUD and FHA, so you'll get a diverse selection of foreclosure homes and many different ways to buy. Foreclosure-Support.com also provides the insider information and advice you need to become an expert buyer, along with a fantastic Customer Support to help make your government repossessed property search a breeze. Buying foreclosure homes presents an opportunity like no other for finding huge savings on a wide variety of real estate, including single and multi family homes, condos, lands and all sort of foreclosed properties. Often times, informed buyers can make investments anywhere from 30 to 60% below the market value on a particular property. Investing in government repossessed homes, fixer uppers and short sales can lead not only to immediate savings, but also to a greater potential for profit on a long or short-term investment. Whether you're buying bank owned homes, government tax foreclosures, or any other kind of repossessed property, the process is relatively the same. Once you start browsing our lists of foreclosure, you'll see that most properties are in excellent condition, and may only need a fresh coat of paint before they're ready for the market! There's no better way to find the discount that makes your first home purchase affordable, or the incredible margin for profit that cheap foreclosed homes for sale offer. So get started by searching today. Just click on any state on the map to start now!